Habitat: Grasslands, forests, cities, suburbs and along rivers. There are about 5,000 different species of ladybirds in the world. These much loved critters are also known as lady beetles or ladybugs, and in many cultures they’re considered good luck. They come in many different colours and patterns, but the most familiar in the UK is the seven-spot ladybird, which has a shiny, red-and-black body. Most people like ladybirds because they are pretty, graceful and harmless to humans. But farmers love them because they eat aphids and other plant-eating pests. And boy do they eat – in it’s year-long life, a single seven-spot ladybird can gobble more than 5000 aphids! Most ladybirds have oval, dome-shaped bodies with six short legs. Depending on the species, they can have spots, stripes or no markings at all. Seven-spotted ladybugs are red (or sometimes orange) with three spots on each side and one in the middle. Their head is black with white patches on either side. The ladybird’s bright colours act as an important defence mechanism, warning animals they’d best not eat them. When threatened, the bugs secrete an oily, yukky, yellow fluid from joints in their legs – and their colouring acts a reminder to any peckish predators who’ve eaten their kind before that they taste disgusting! These brilliant bugs have another trick to avoid danger, too – remain still and pretend to be dead. Simple, eh? Birds are ladybugs’ main predators, but they also fall victim to frogs, wasps, spiders and dragonflies. Ladybirds lay their eggs in clusters or rows on the underside of a leaf, usually where aphids have gathered. Larvae, which vary in shape and colour depending on the species, emerge in a few days. Seven-spot ladybird larvae are long, black and spiky-looking with orange or yellow spots – some say they look a bit like small alligators! Larvae grow quickly and shed their skin several times. When they reach full size, they attach to a leaf by their tail, and a ‘pupa’ is formed. In only a week or two later, the pupa becomes an adult ladybug. Seven-spot ladybirds are native to Europe but were introduced to North America in the mid-1900s to control aphid populations. These incredible insects are happy in many different habitats, including grasslands, forests, cities, suburbs and along rivers. During spring and summer, when they are most active, these incredible insects can be seen fluttering around or walking on the leaves of plants. But when the weather turns colder in autumn, they look for a warm, secluded place to hibernate, such as in rotting logs, under rocks or even inside houses. They like to group together, too, and these hibernating colonies can sometimes contain thousands of ladybirds! – Ladybird on daisy: irin-k, Shutterstock. Ladybird on green grass: Blaz Kure, Dreamstime. Group of ladybirds on tree: Brian Flaigmore, Dreamstime. Red ladybird with black spots on a leaf: Romangorielov, Dreamstime. Black ladybird with orange spots on leaf: Efired, Dreamstime. I LOVE LADYBIRDS!!!!!!!! I THINK THEY ARE AWESOME AND COOL!!!! I didn't no that a ladybug is mostly a Carnivores. That's a long name for a Ladybird. In New Zealand Ladybugs Are Shiny Blue! Love ladybirds so much that i could have one as a pet so badly . It just makes my mind more work. Yay I love this page because I really like ladybugs and this website is great! This is so amazing this website!!!! Thank you for telling me so much about these animals!!!! 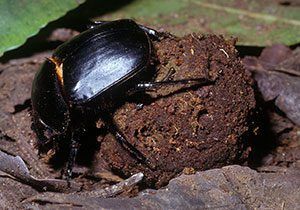 25 cool things about bugs! 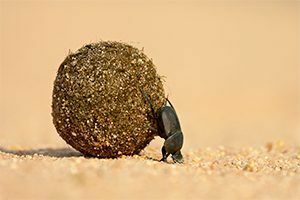 Roll away with our fab facts about this bonkers bug! 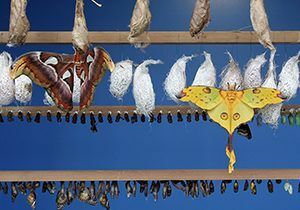 See the fascinating transformation from caterpillar to butterfly! 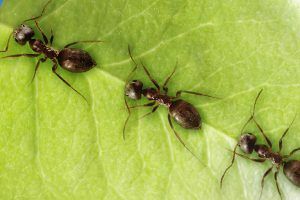 10 cool facts about ants! They may be small, but boy are these little critters powerful!